I am a Jew . . . brought up in this city at the feet of Gamaliel (Acts 22:3). 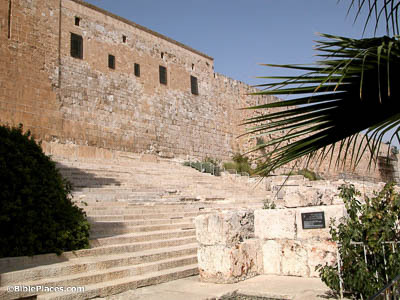 The rabbi Gamaliel is mentioned in ancient Jewish sources, including one reference that suggests he may have taught on these steps that lead to the entrances of the Temple Mount on the south. These broad steps lead up to the south end of the temple precinct and would have made a good place for a speaker to address an audience. It is quite possible that Jesus also taught here. I imprisoned and beat in every synagogue those who believed in You (Acts 22:19). While we do not know the exact conditions of the prisons where early Christians were held, we can be sure they were not pleasant. Some of the early Christians may have been imprisoned in the same prisons occupied earlier by Jesus. 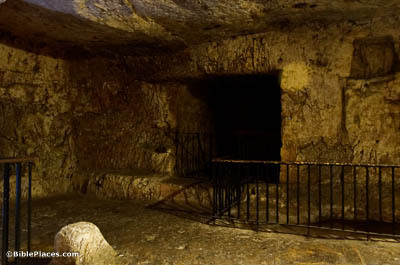 The location shown here has been identified by Greek Orthodox tradition as the place where Jesus was imprisoned. 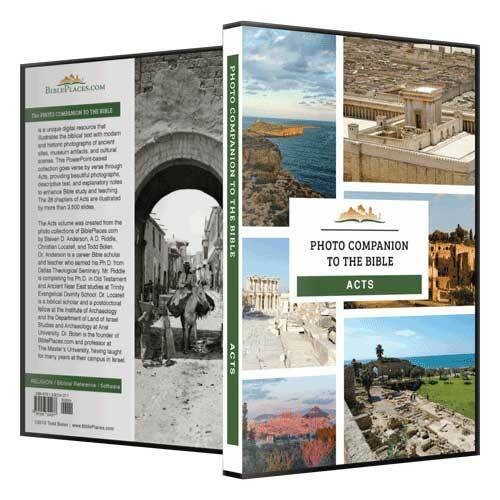 While this claim is dubious, the site may be a place where Paul (Saul) imprisoned Christians. The commander ordered him to be . . . examined by scourging (Acts 22:24). When someone was being scourged, they would typically be restrained with their arms tied around some manner of pillar, leaving their backs exposed to the whip. 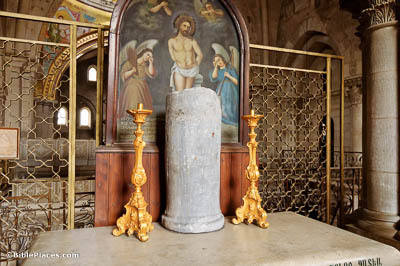 The pillar shown here belonged to Caiaphas, according to tradition; allegedly, Jesus was tied to it during his own scourging. It now stands in the Church of the Holy Sepulcher. The commander answered, “I acquired this citizenship with a large sum of money” (Acts 22:28). Roman citizens had significant rights in the Roman Empire, making citizenship a valuable commodity. Those who did not possess it by birth could still gain citizenship by virtue of wealth or military service, as seems to be the case with this commander. 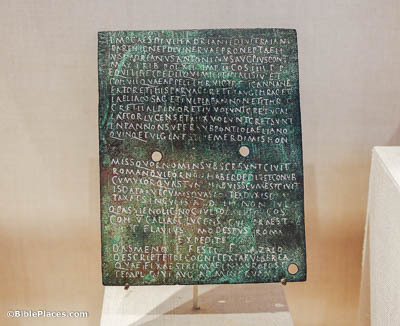 The bronze tablet pictured here offers an example of this practice; dating to AD 149, it records a decree by Emperor Antoninus Pius granting citizenship to qualifying war veterans. He ordered . . . all the Sanhedrin to gather, and he brought Paul down and set him before them (Acts 22:30). This verse records the transfer of Paul from the Roman barracks in the Fortress of Antonia to the meeting place of the Sanhedrin. 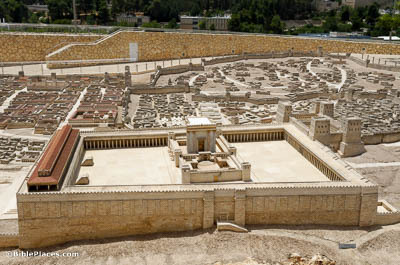 At the time this happened, the Sanhedrin were likely meeting in the Royal Stoa. This model shows the relationship between the Fortress of Antonia (the towered structure on the right side of the mount) and the Royal Stoa (the red-roofed structure on the left).